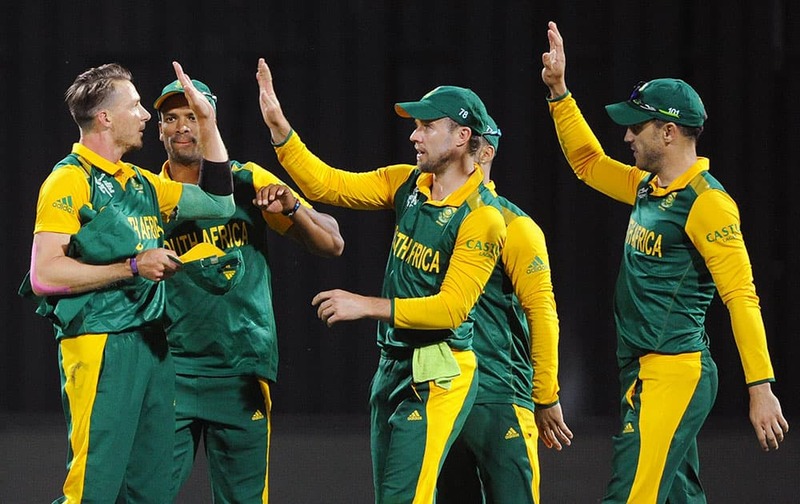 South Africa's Dale Steyn, celebrates with teammates after dismissing Zimbabwe's Craig Ervine for 13 runs during their Cricket World Cup pool B match at Hamilton, New Zealand. 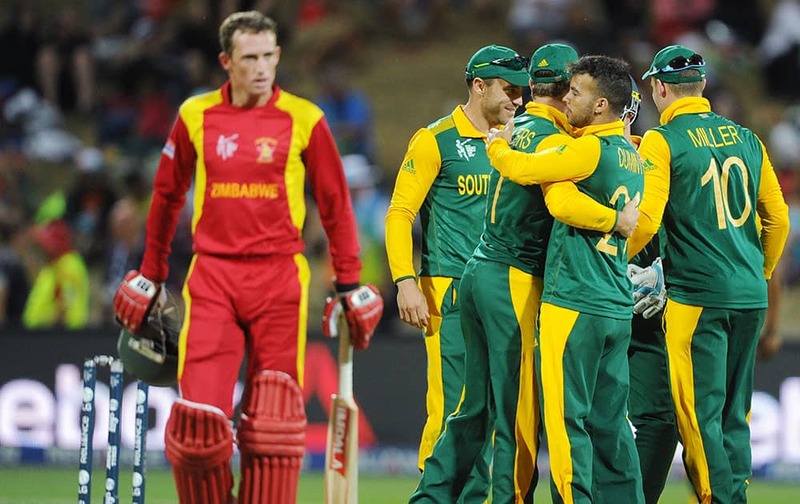 Zimbabwe's Sean Williams, leaves the field after he is caught out for 8 runs as South African teammates celebrate during their Cricket World Cup pool B match at Hamilton, New Zealand. 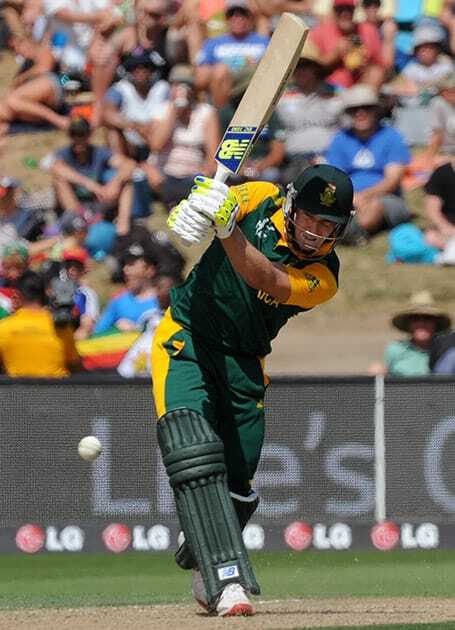 South Africa's Jean-Paul Duminy catches out Zimbabwe's Chamu Chibhabha for 80 runs during their Cricket World Cup pool B match at Hamilton, New Zealand. 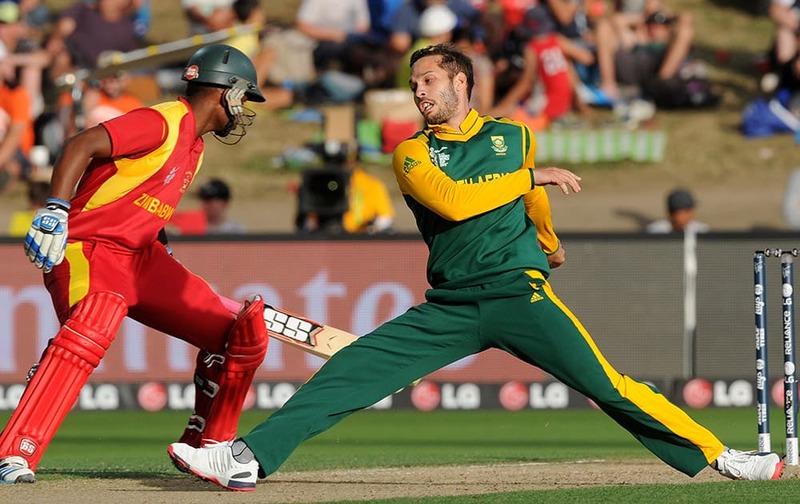 South Africa's Farhaan Behardien, stretches while attempting to field as Zimbabwe's Chamu Chibhabha, returns to his crease during their Cricket World Cup pool B match at Hamilton, New Zealand. 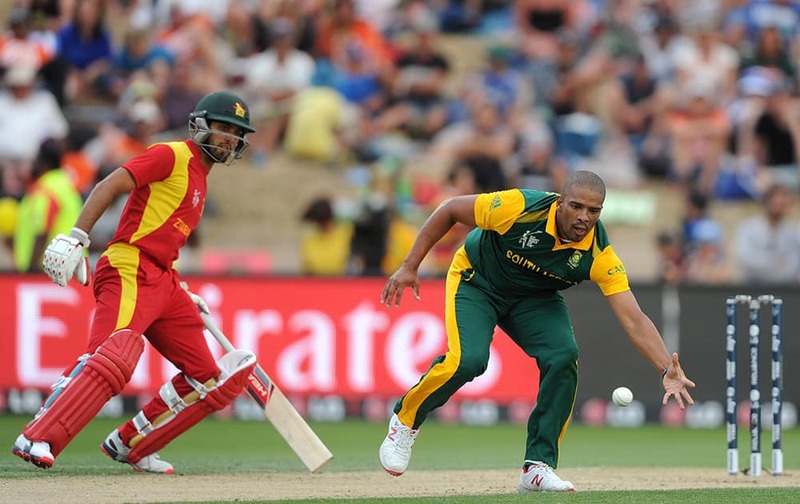 South Africa's Vernon Philander, fields the ball in front of Zimbabwe's Sikandar Raza during their Cricket World Cup pool B match at Hamilton, New Zealand. 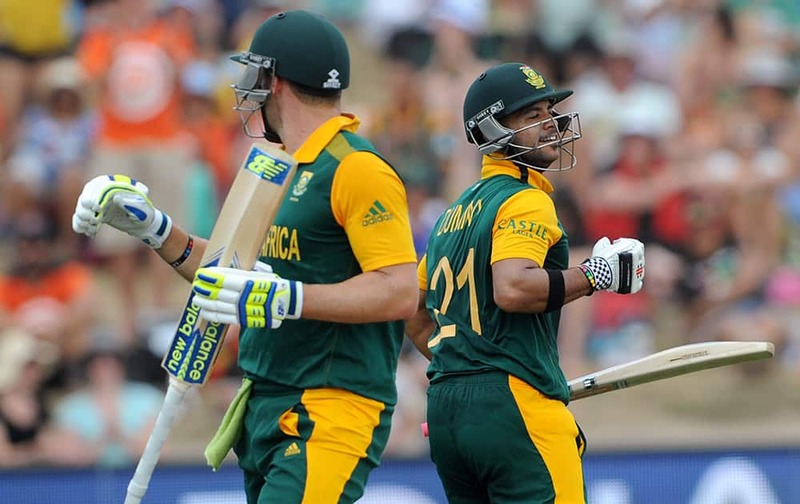 South Africa's Jean-Paul Duminy, celebrates along with teammate David Miller after Duminy made 100 runs against Zimbabwe during their Cricket World Cup pool B match at Hamilton, New Zealand. 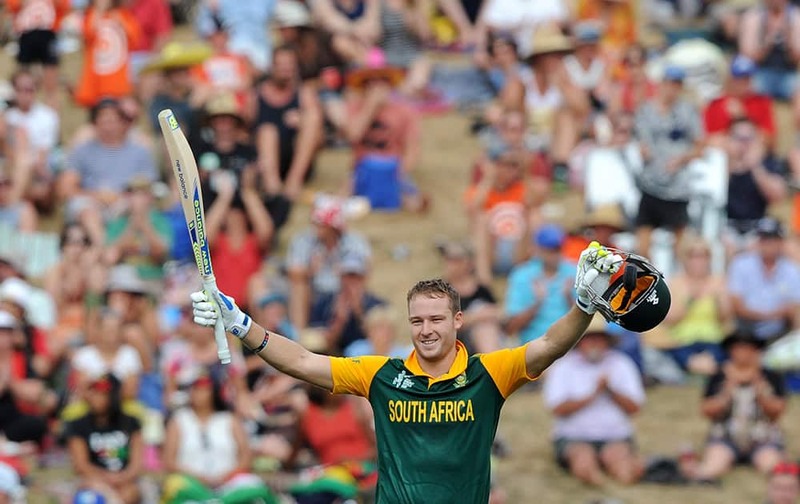 South Africa's David Miller raises his bat and helmet after making 100 runs against Zimbabwe during their Cricket World Cup pool B match at Hamilton, New Zealand. 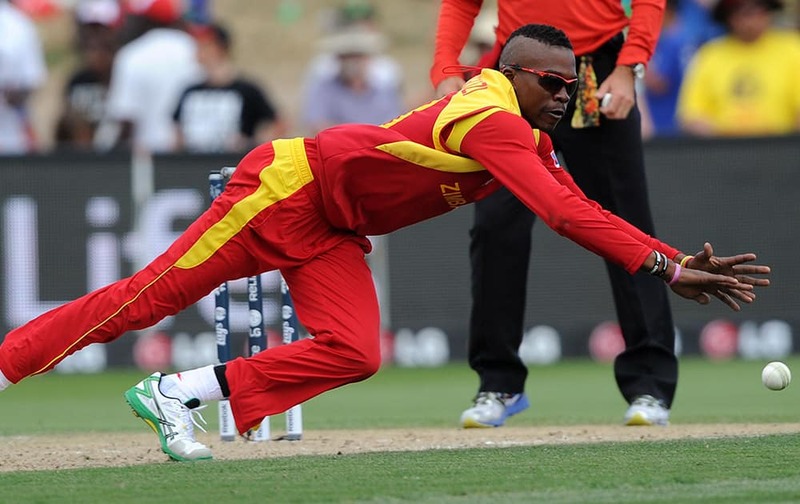 Zimbabwe's Tafadzwa Kamungozi fields the ball while bowling to South Africa during their Cricket World Cup pool B match at Hamilton, New Zealand. 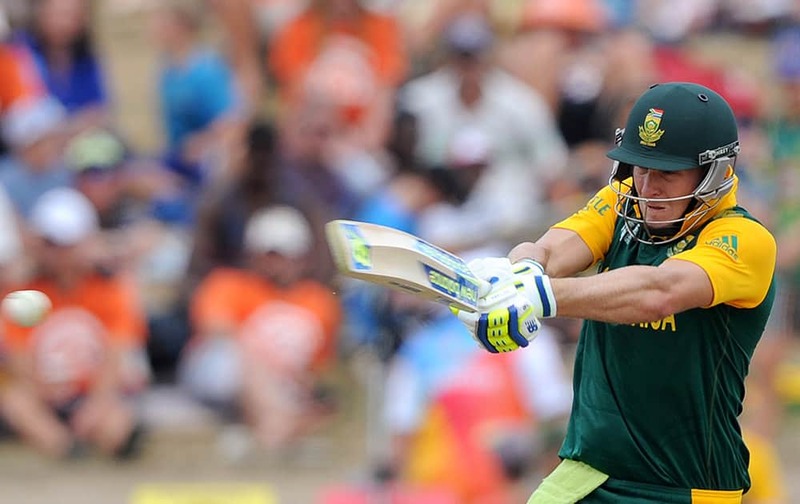 South Africa's David Miller plays a shot against Zimbabwe during their Cricket World Cup pool B match at Hamilton, New Zealand. 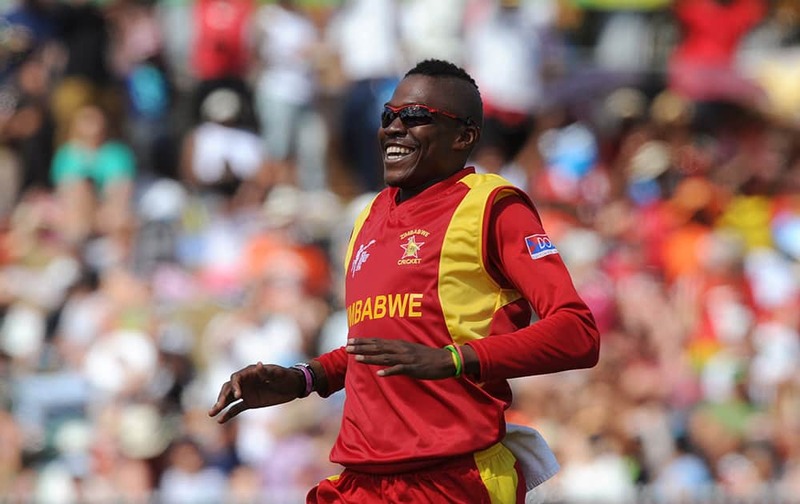 Zimbabwe Tafadzwa Kamungozi smiles after taking the wicket of South Africa's AB de Villiers for 25 runs during their Cricket World Cup pool B match at Hamilton. 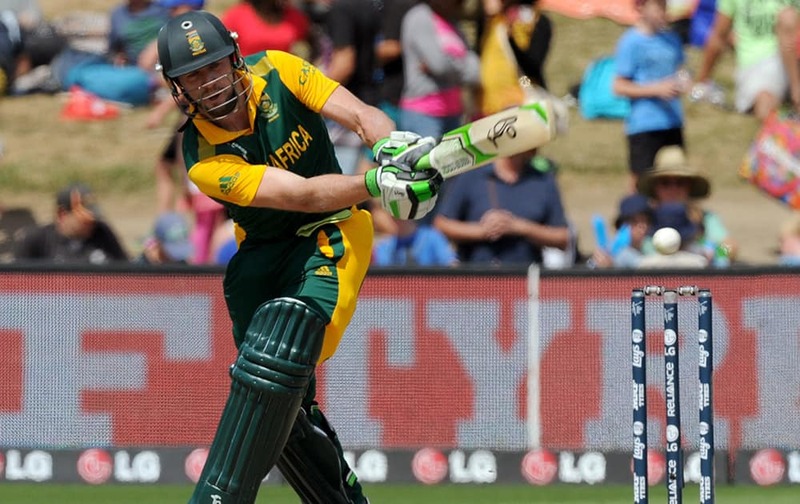 South Africa's AB de Villiers plays a shot against Zimbabwe during their Cricket World Cup pool B match at Hamilton, New Zealand. 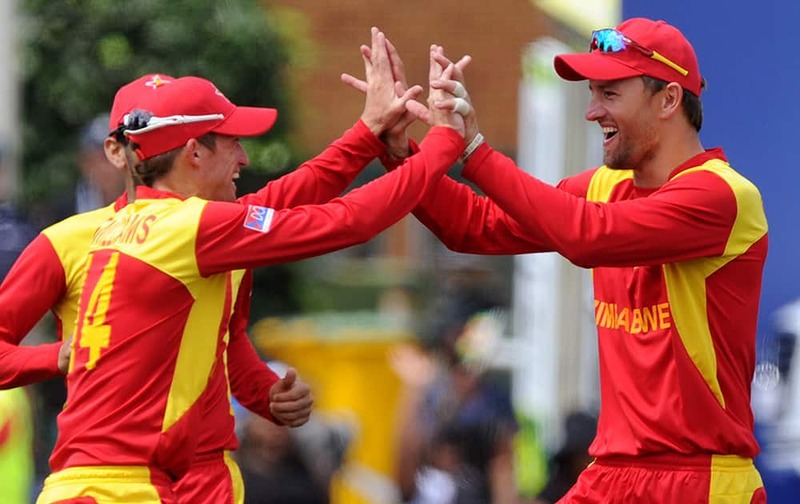 Zimbabwe's Craig Ervine, right, celebrates with teammate Sean Williams after catching out South Africa's Quinton de Kock for 7 runs during their Cricket World Cup pool B match at Hamilton, New Zealand.